When Saint Augustine was living a life of licentiousness many generations ago he was hearing some children playing near where he was seated, playing a game with the refrain “Take up and read, take up and read.” He picked up his Bible and opened it to the book of Romans and proceeded to read about his sin and his desperate need of the provision of Christ’s imputed righteousness by faith in his death, burial, and resurrection in exchange for his sin. He was convicted of his sin and powerfully drawn by the work of the Holy Spirit toward faith and repentance in the person and work of Christ. Whether you are a rebel, or someone who has heard the gospel (or what may pass for the gospel today) – you are well advised to take up this book and read it. In the past men like Augustine, Luther, and Calvin understood with passion and clarity our need to comprehend the richness and depth of the gospel, and proclaim it with passionate urgency – because souls are hanging in the balance. 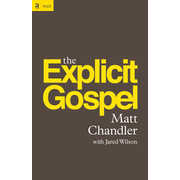 In this book Chandler definitively understands and articulates the power of the gospel and the desperate need we all have to understand the depth of our sin before a Holy God, and the just requirements He has that we have failed to meet, and thus our desperate need for what Christ came to save us from and unto. In three parts Chandler clearly articulates the gospel essentials (God, Man, Christ, and our response); the gospel’s theological underpinnings (Creation, Fall, Reconciliation, and Consummation); and lastly its implications and applications for all of the aspects of our lives. The author is to be commended for writing a book that is passionate about the gospel; clearly articulates the gospel; calls for a response to the gospel; and demonstrates how to communicate and live out the gospel. I highly recommend this book especially for preachers who proclaim the word of God week in and week out. He will inspire you to NOT compromise the gospel and to rest in the work of the Holy Spirit in applying it’s power in the lives of your people. My hope and prayer is that in reading this book your passion will be stirred to unflinchingly proclaim the gospel powerfully in truth and love – resulting in the saving of many lives. I think that the Apostle Paul would wholeheartedly agree with all that Chandler articulates in this book and would add, “For I am not ashamed of the gospel (as conveyed in this book), for it is the power of God for salvation to everyone who believes, to the Jew first and also to the Greek” (Rom. 1:16). Matt Chandler is the lead pastor of The Village Church, a multi-campus church in the Dallas metroplex of over 10,000 people. He has recently taken the post as President of the Acts 29 Church Planting Network. His sermons are among the top selling (free) podcasts on itunes and he speaks at conferences worldwide. Prior to accepting the pastorate at The Village, Matt had a vibrant itinerant ministry for over ten years where he spoke to hundreds of thousands of people in America and abroad about the glory of God and beauty of Jesus. He lives in Texas with his wife, Lauren, and their three children: Audrey, Reid and Norah. 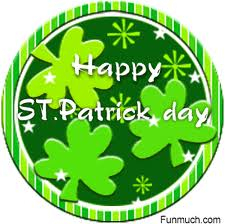 May your salvation, Lord, be ever with us. I primarily got this book on a whim because I love baseball – especially the Dodgers –and enjoyed watching Clayton Kershaw work his way into the pitching Triple Crown and a CY Young award during the 2011. I enjoyed this book more than I thought I would – to be honest I didn’t expect much depth from a couple that are half my age – in their early twenties. 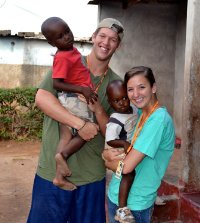 In this book Clayton and Ellen show that they are wise beyond their years, and totally committed to Jesus Christ as their Savior and Lord and to making a huge difference in the lives of people whether on a baseball field or in a field in Africa. A is for Africa – The book goes back in forth alternating between Ellen and Clayton (there are more chapters written by Clayton) talking about the dreams (goals) that they had as teenagers and how God was at the center of these dreams and how they came to be a reality in each of their lives. Ellen talks of her various trips to Zambia to work with children there and how together in marriage God has allowed them to visit Africa and combine God’s love and gospel message to help children. I found Ellen’s depth in her relationship with Christ to be inspirational and encouraging – and enjoyed what she wrote as much as what Clayton wrote. I would say that the target audience of this book is primarily high schoolers, college students, and young people in their twenties. As they say early on in the book, “We want a generation of young people to arise—to hope and believe that their lives are full of purpose.” However, I think anyone who loves the poor and hurting children of the world, baseball, and especially Jesus Christ will really enjoy and benefit from this book. 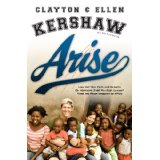 I would especially encourage young people to read this book and emulate the Kershaw’s as they follow Jesus Christ. If you are Christian parent, youth pastor, pastor, or coach I highly recommend that you give this book to a young person in your life – it can be a great motivator for them to follow their dreams and reach them for the sake of Christ and His glory in the world. Christ – The Reason for Our Hope!